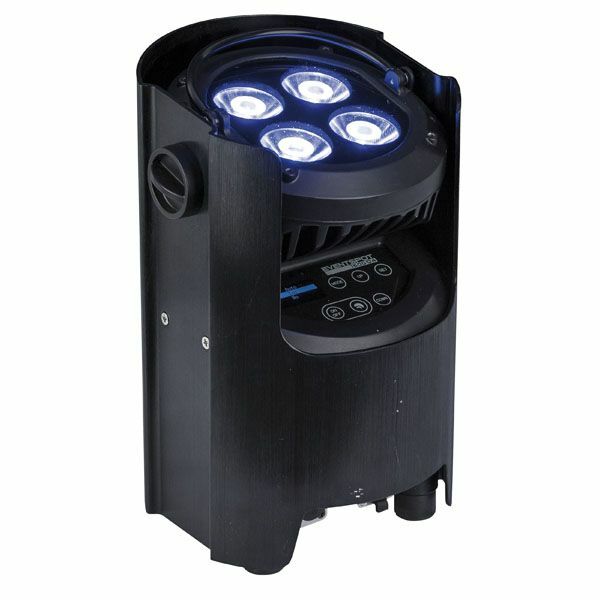 Dutch manufacturer Showtec, a brand of Highlite International BV, has released its new battery-powered uplighter, the Eventspot 1600 Q4. 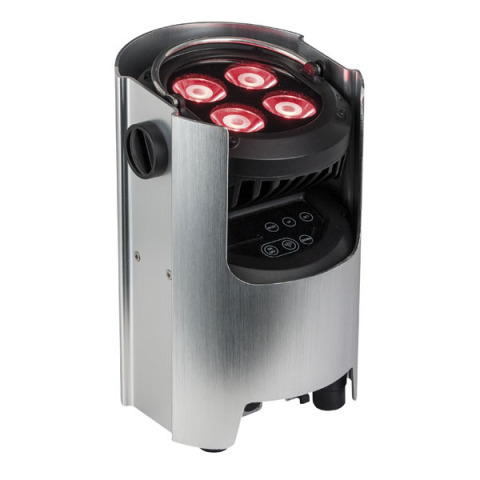 This unit is an extremely compact and rugged event lighting fixture with lithium ion battery, with 4x 12W RGBW combined with dedicated high class optics ensuring a bright and well-defined 10° beam. The battery has a lifetime of up to 15hrs at RGBW. This unit comes with a W-DMX™ G5 transceiver as standard, allowing to receive DMX data wireless from any current or legacy W-DMX™ transmitter. The unit not only receives data, but can also be configured to transmit, allowing for a master/slave configuration, up to the already established impressive range that W-DMX™ offers. “Highlite is an innovative manufacturer with dozens of products with W-DMX™”, says Niclas Arvidsson, CEO for Wireless Solution Sweden. “The Dutch company does an extraordinary amount of work behind the scenes to offer a comprehensive range of products with an enormous amount of R&D, and have establish themselves as a global supplier of entertainment and event lighting”. The battery-powered fixtures are IP-54 rated and come in both black and brushed aluminium.